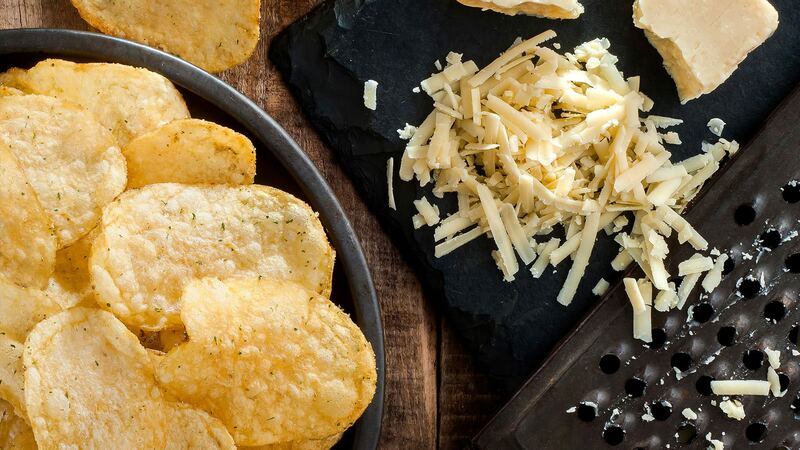 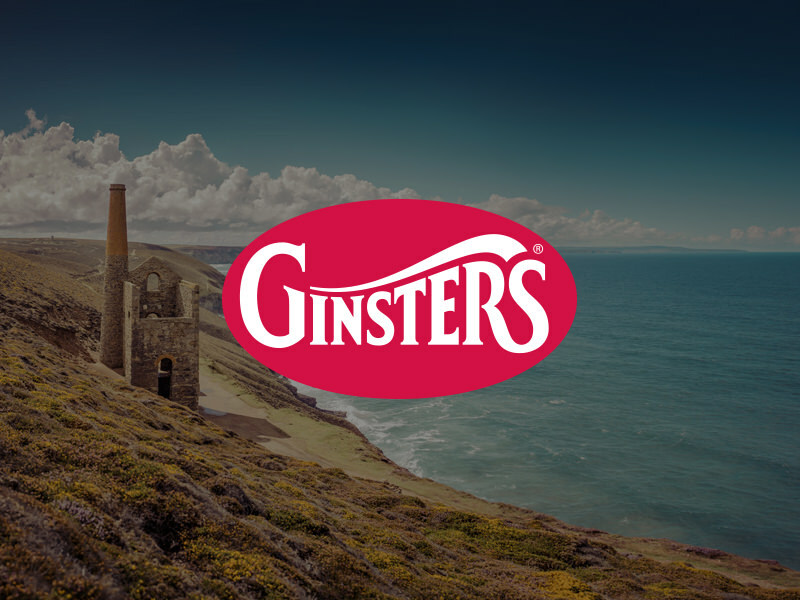 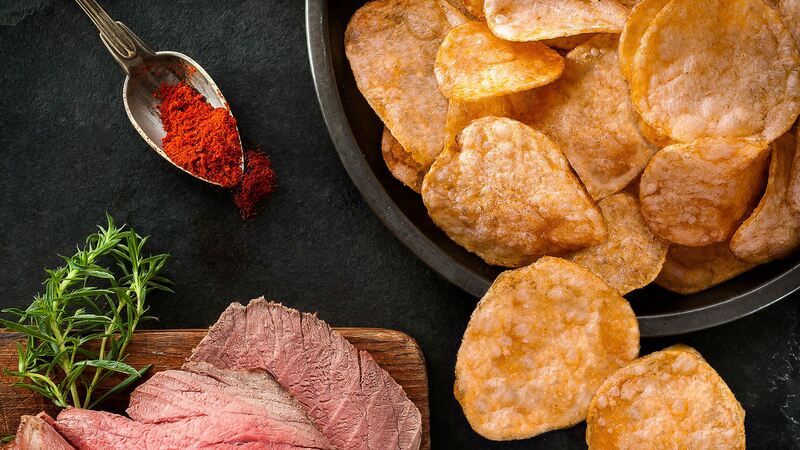 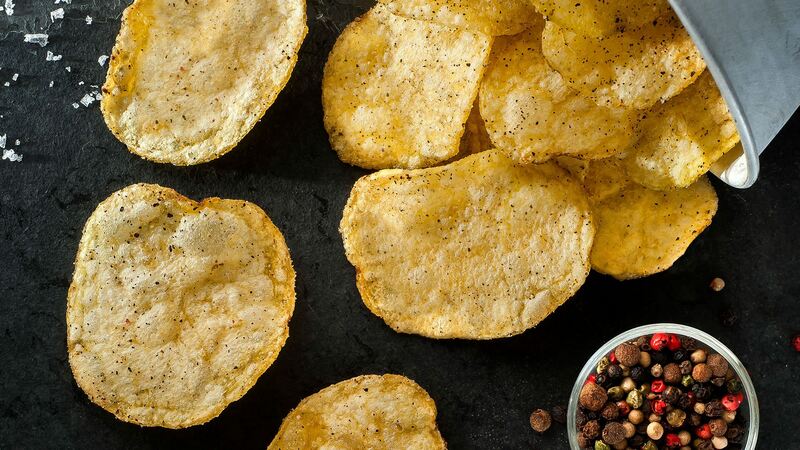 Launched in 1995 by husband and wife team Richard and Linda Burt, the company has grown into an award-winning international snacking business offering locally sourced tastes of the Westcountry. 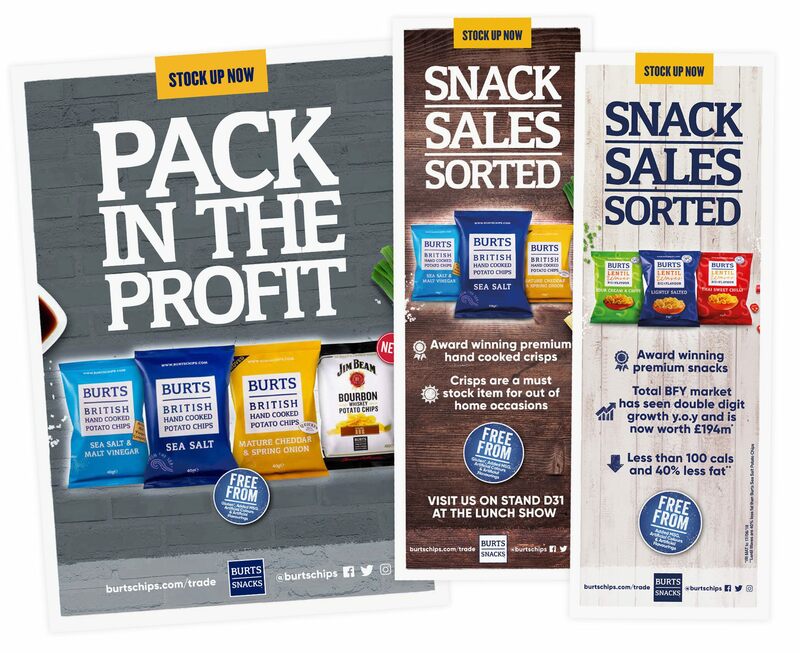 The company needed to refresh its trade communications to reflect its brand values, create awareness and highlight key selling points. 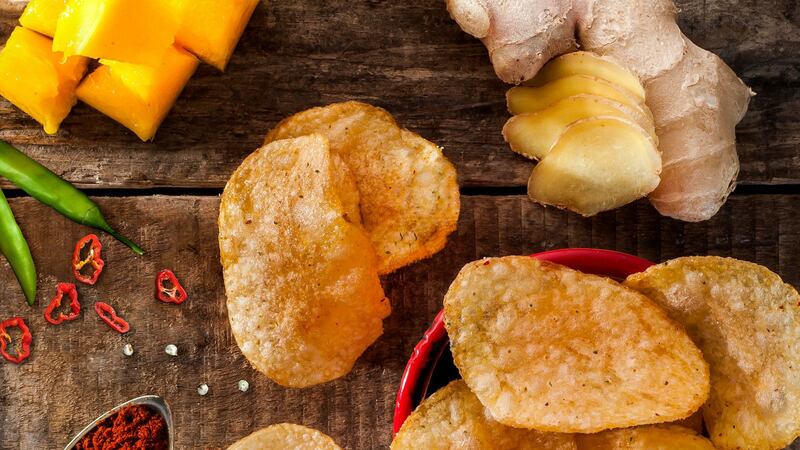 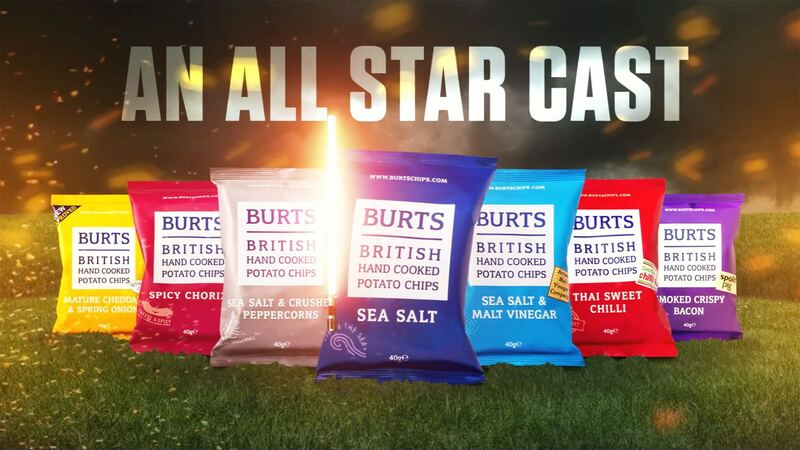 We focused our creative effort on making the packs the hero, introducing flavour cues to entice buyers. 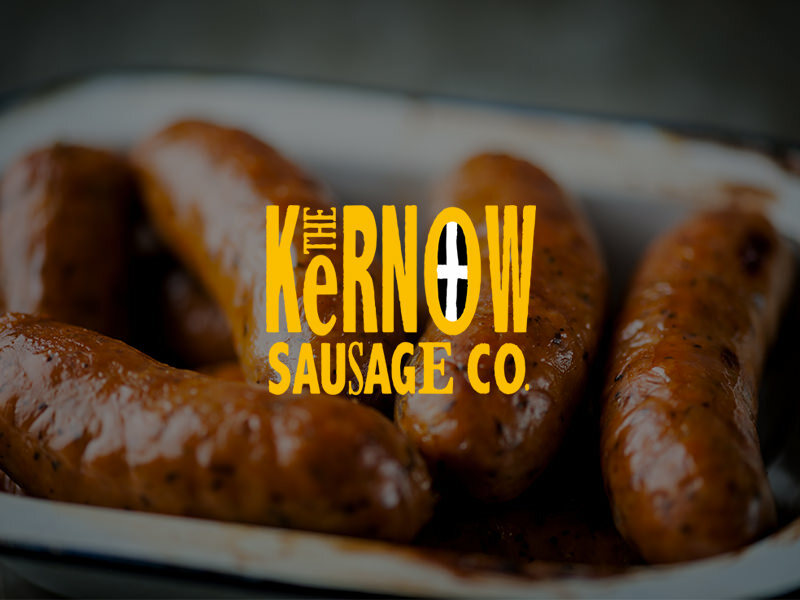 People eat with their eyes online, so it was important to ensure the photography represented their flavours and values in a way that makes consumers want to buy their product. 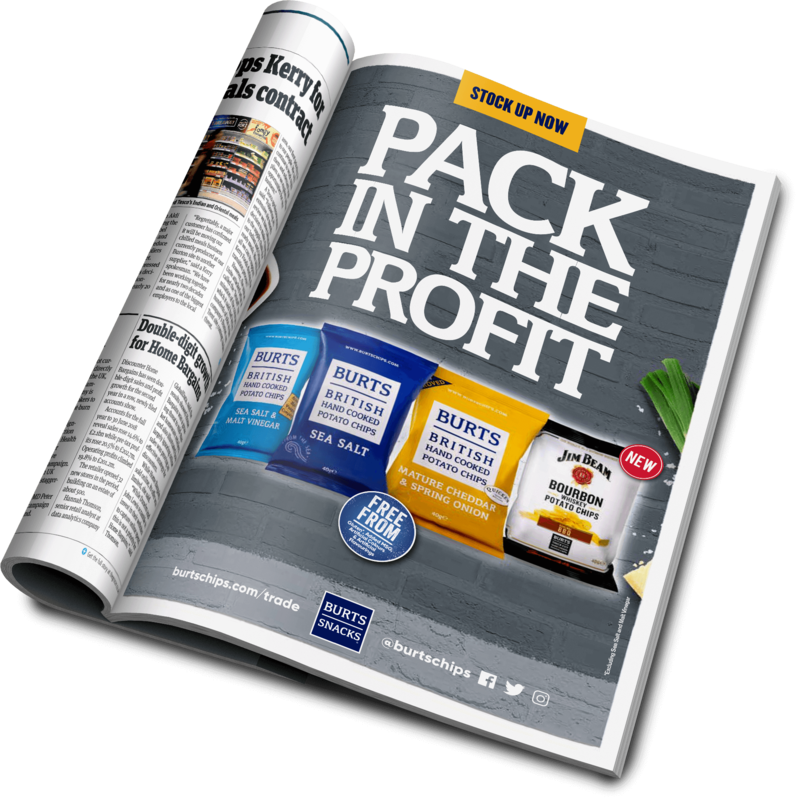 We art directed numerous photoshoots, ranging from product specific to lifestyle photography. 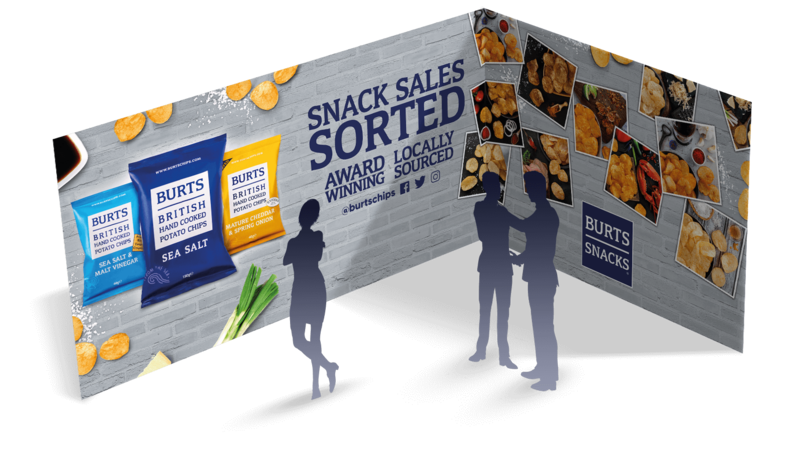 The Burts annual review needed to update employees, trade, and consumers about all the accomplishments the brand had achieved throughout the year as well as highlighting what to look forward to in the year ahead. 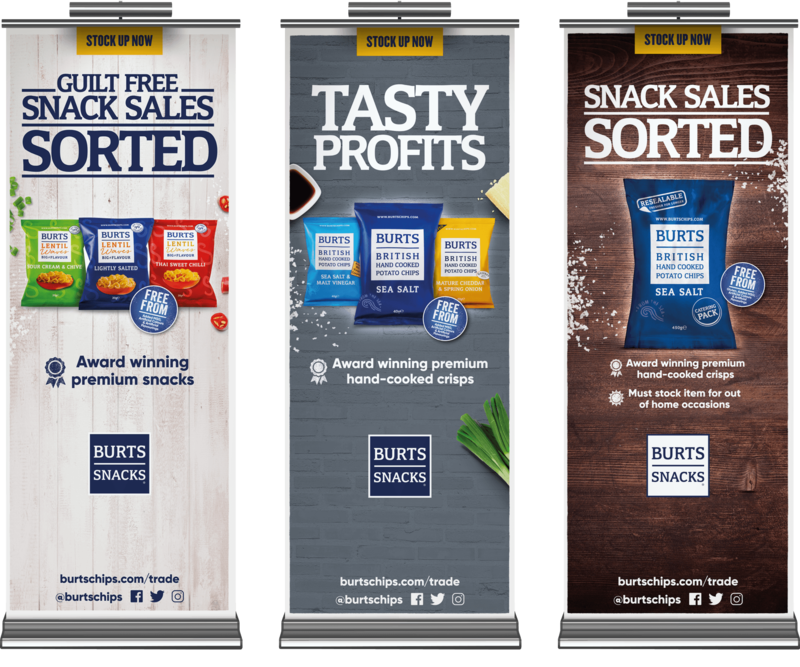 Burts wanted an engaging, fun, and uplifting video to present to their team, and also work across other channels including website and sales presentations. 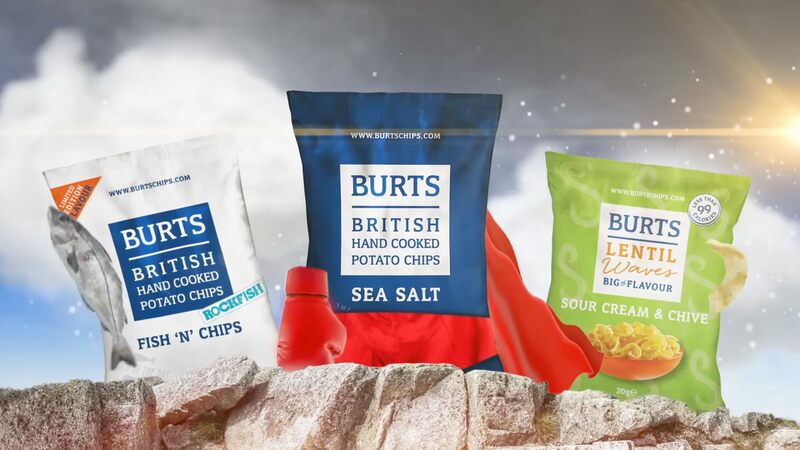 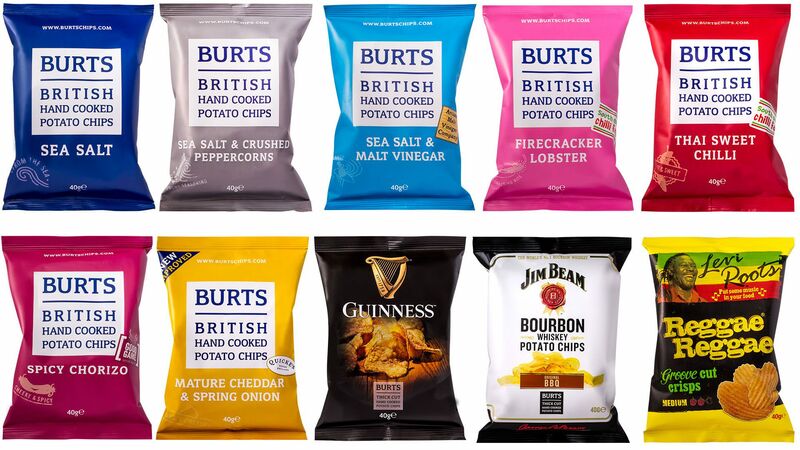 Using their brand proposition of ‘feed your taste for adventure’, we developed the key information using a mix of styles including bringing the Burts packs to life, giving them personalities that represent their flavours. 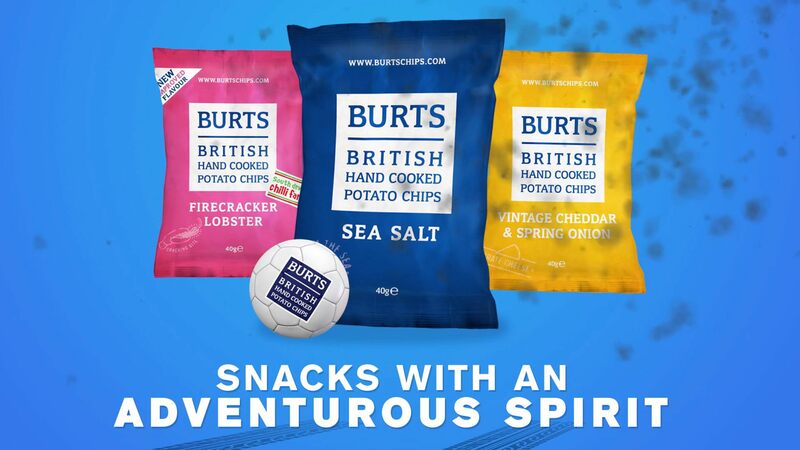 Whilst running a campaign for their competition to win a ‘Dadventure,’ Burts needed a way to engage with the consumer on social media using moving images. 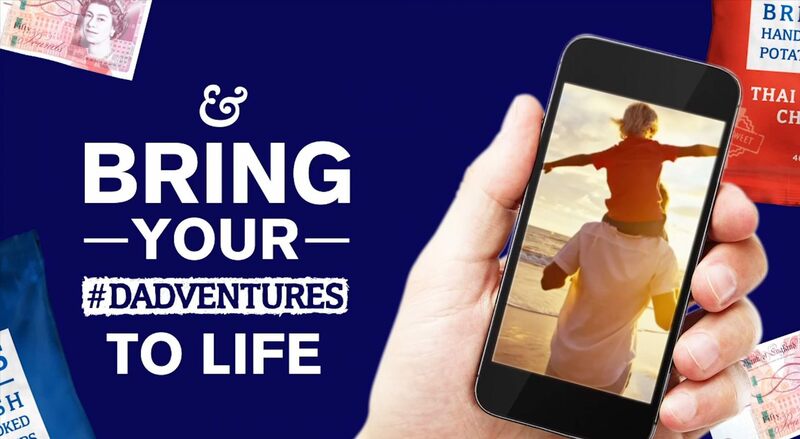 We worked closely with them to create a simple punchy video that explained the mechanism of competition in an engaging way.